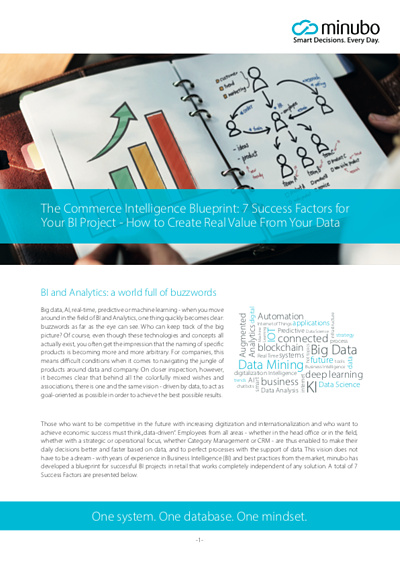 7 Success Factors for Your BI Project – Download Paper Now! So, if classic BI cannot meet today's requirements, which aspects will determine the success or failure of your BI project? minubo has taken this question as an incentive to develop a guide to successful value creation from data: 7 Success Factors are summarized in a Commerce Intelligence Blueprint, which is broken down at the project and solution level. Learn more in our paper!